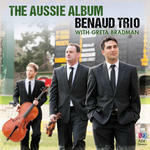 Recorded/performed at: Adelaide Town Hall., on 1999. Matthew Hindson Goldner String Quartet, Slava Grigoryan 9 mins, 32 sec. Score: Rush : for piano trio / Matthew Hindson. Parts: Rush : for piano trio / Matthew Hindson. 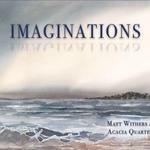 CD: Imaginations / Matt Withers & Acacia Quartet. 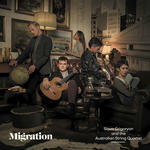 CD: Migration / Slava Grigoryan and the Australian String Quartet.